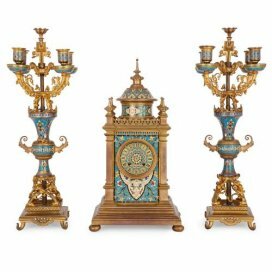 This fine ormolu and marble clock set, with a resplendent lyre-shaped central clock, will make an excellent, striking addition to an antique mantelpiece. 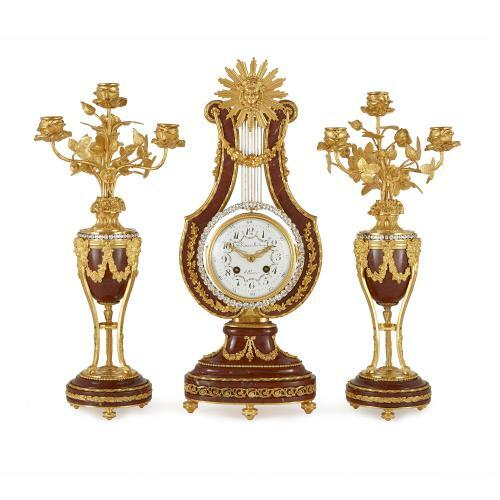 The three piece clock garniture is wonderful example of antique French design in the Louis XVI, or Neoclassical style. Particularly impressive is the central clock, shaped to resemble a lyre, with fine ormolu detailing all over and jewelled highlights around the dial, resembling diamonds. 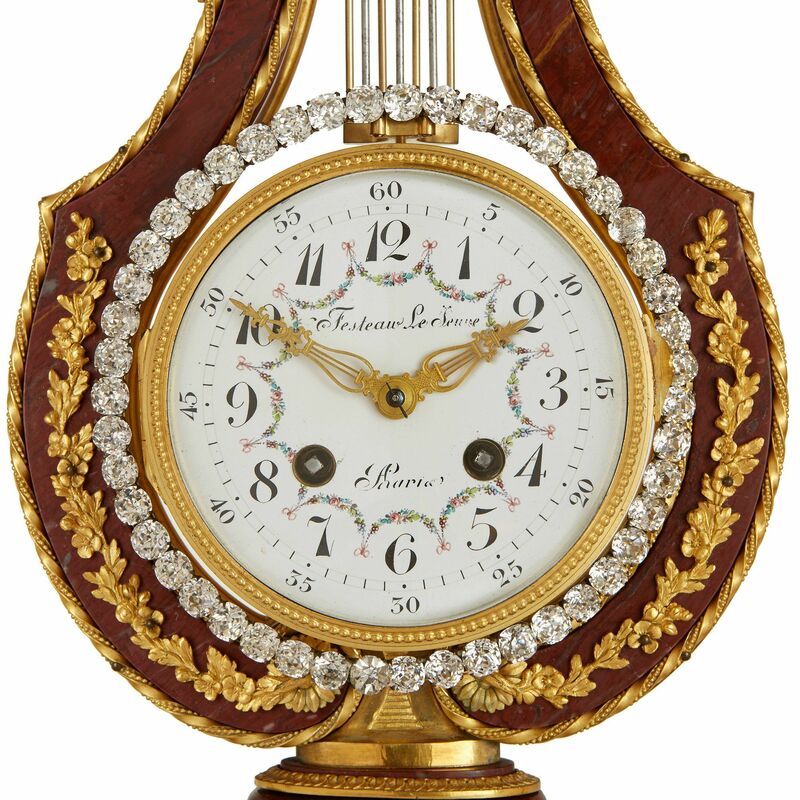 The lyre-form clock is set on an oval-shaped rouge marble base, mounted with ormolu beading, scrolling foliage and laurel festoons. 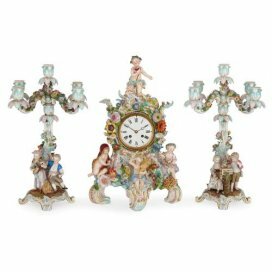 The white enamel clock dial with arabic numerals sits in the centre of the clock and bears the signature for 'Festeau Le Jeune Paris', a firm of Parisian clockmakers and the makers of this wonderful set. 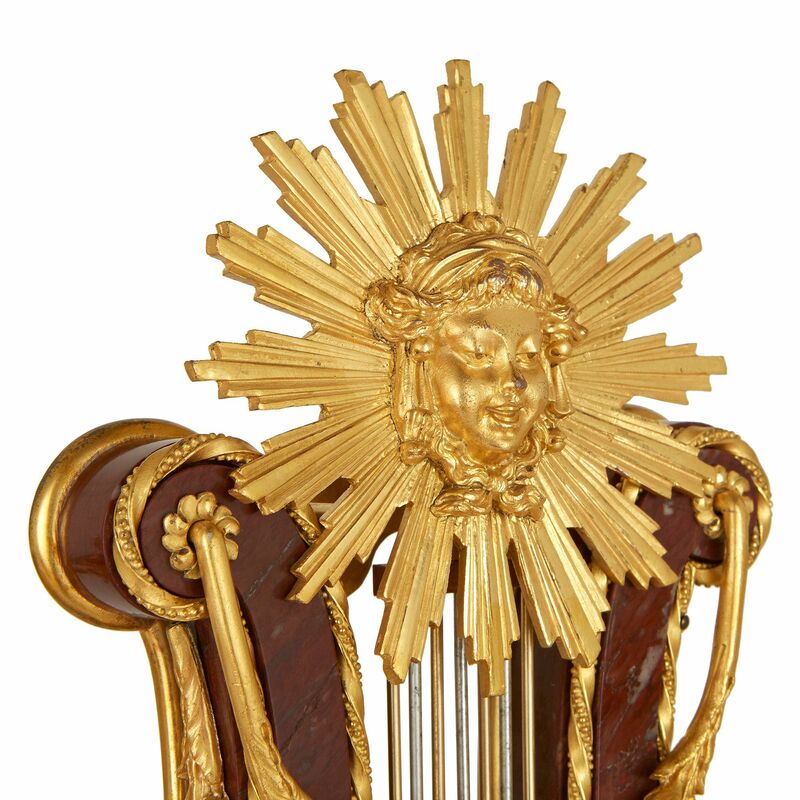 Above the clock dial are the lyre strings, inside a red marble frame, and the entire piece is surmounted by a beautiful ormolu sunburst design centred with a Classical mask. The pair of flanking candelabra are similarly decorated, each with four lights issuing from scrolling ormolu branches which are decorated with leaves. The lights of each candelabrum are supported by an intricately-cast bouquet of roses on a red marble urn, which is mounted with three satyrs' heads and grape garlands. 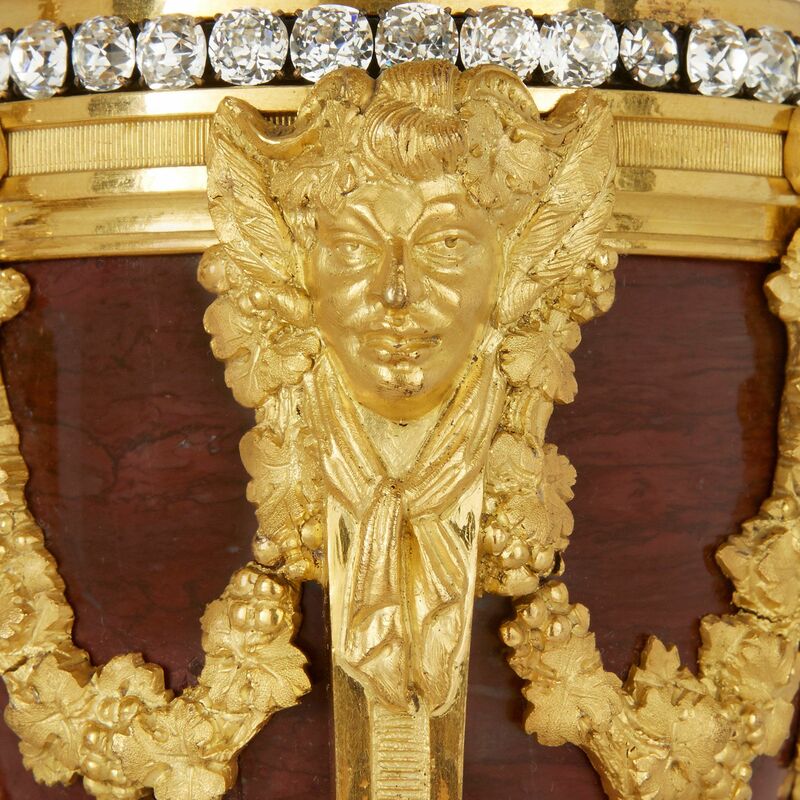 The urns rest on three scrolling ormolu legs terminating in paw feet, on circular marble bases.